FTMDaily.com, Jan. 15, 2016 – In an exclusive interview with FTMDaily’s Jerry Robinson, U.S. Senator and Republican presidential candidate Rand Paul discusses the recent Senate vote on his “Audit the Fed” bill, as well as the lack of support of his candidacy within the American evangelical community. Sen. Paul explains that the message in the New Testament is one of peace and that Jesus never encouraged his followers to rebel against the government or to instigate war. Therefore, Sen. Paul’s message of peace through prosperity should resonate within evangelical groups during this presidential election cycle. But when asked why many evangelicals in America prefer militarism over peace, Sen. Paul is truly baffled. I think it is really an irony, and I continue to be baffled by it, but it’s not always true. I do remind them [religious and evangelical groups] that the sermon on the mount and the beatitudes were ‘blessed are the peacemakers’. Jesus didn’t say, ‘Oh, let’s gather some rebels and overturn the government that’s collaborating with the Romans’. Really, his message was a much different one. 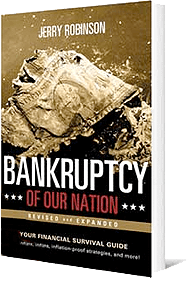 Jerry Robinson, a Christian economist and host of Follow the Money radio, recognizes that Sen. Paul’s message of a humble foreign policy, sound money, and fiscal transparency within government is in step with the teachings of the New Testament. And although Sen. Paul’s Audit the Fed bill was narrowly defeated by Senate Democrats on Tuesday, he promises that the fight for an audit is not over. Sen. Paul concedes that he has worked for five years to get the bill up for a vote in the Senate, but that despite Tuesday’s defeat, he will continue to push his agenda. Ultimately, Sen. Paul explains that his desire is to not only see a thorough audit of the Federal Reserve’s massive and opaque balance sheet, but also to allow interest rates to be set by the marketplace rather than the Federal Reserve. He claims that had interest rates been allowed to rise prior to the housing bubble of 2008, investors would have heeded the market signal that they had over-built and the bubble could have been avoided altogether. 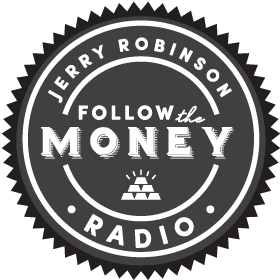 Jerry Robinson, Host: Senator Paul, thank you so much for taking time out of your undoubtedly very busy schedule to join us here on Follow the Money radio. Senator Rand Paul: Thank you, Jerry. Glad to be with you. Robinson: Senator Paul, your Audit the Fed bill made its way to the Senate floor this week for a vote, but it fell short of the 60 votes that were required. It was an exciting moment for those of us who want to rein in the Fed’s unchecked power. But Senate Democrats, who mostly voted against the bill, said that the Government Accountability Office already audits the Federal Reserve and that your proposal would destroy the Fed’s independence. Tell our audience why they are wrong. Sen. Paul: Well, you know it took a long time to get this vote. I worked for 5 years to get this vote. Harry Reid opposed it and I met with him on several occasions and, in fact, you know Harry Reid used to be for Audit the Fed and we reminded him of that by putting out to about 2 million viewers on our Facebook showing video clips of him debating Byron Dorgan over auditing the Fed back in the 90’s. We never had much success. We finally got the vote this time. We did get 53 votes in favor, so that is a significant milestone, in the sense that we got a majority of people to vote for Audit the Fed and we got a vote. The other side argues that they already are audited. Well, it’s kind of like saying, yeah they’re audited to know how much money they spend on coffee, donuts, and salaries, but they really aren’t audited on the main part of what they do, and where their money is located. So, for example, a few years ago Bernanke came before the Congressional committee and Alan Grayson asked him where did the trillions of dollars go that you used during the crisis in 2008, and Bernanke had no answer. The auditors had no answer, because the auditors aren’t allowed to look at the transactions concerning their assets. Now we did have a one-time special audit that was stuck in Dodd-Frank and this was something that my Dad pushed for and, through that, we learned that there were 16 trillion dollars worth of loans that occurred during the crisis. Some of this, in fact, maybe as much as a half a trillion, went to foreign banks and foreign institutions. And there’s a lot of questions that go on every year through the Federal Reserve that we have no idea. They say that we know all of the assets, and they’ll show you a big book that has all the assets, but they don’t individualize it so you don’t know what mortgages are held, you don’t know whether they’re valued appropriately. And there really is just not much of a look into the Federal Reserve decision making, as far as interest rates go. So we think the current audit that they say they have is a farce, and we’re gonna keep pushing the issue. Robinson: I understand that Democratic Presidential candidate and Senator from Vermont Bernie Sanders crossed the party aisle to stand with you on the vote, but Republican Senator Ted Cruz, who claimed to support your bill, even going so far as to join you as a co-sponsor, was nowhere to be found when the vote was actually cast. It was truly unfortunate that you were not at the debate last night to confront Senator Cruz about why he didn’t vote on your Audit the Fed bill. No mention of it during the debate last night, which is, I’m assuming, what the party establishment prefers. Sen. Paul: Yeah, it was disappointing that Ted Cruz didn’t show up for the vote and he was the only Republican that didn’t show up. You know, there are varying degrees of support for things and I think one of the indications of whether you truly support something is actually showing up for the debate and for the vote. But we were excited to get the vote and we’re gonna continue pushing this. I continue to push the idea that interest rates should be set by the marketplace. I’m a physican, not an economist, but the analogy I like to use is that when you eat a big meal, your blood sugar rises. Insulin then rises in response to that, and you get a cyclical nature to the economy. As the economy heats up, interest rates – or the price of money – there should be more demand for money and the price of the money should rise, and that works as a counter-cyclical sort of pressure to tamponade the effect of a rising economy so that it doesn’t go beyond its limits. It’s useful information to the economy. But if you don’t have that information distributed to the economy, people make bad decisions and, like we saw with the housing bubble, people keep building houses, whereas higher interest rates might have told them that they were overbuilt. Economists have a hard time arguing against on this, that they just say, oh no, the Fed knows better, we gotta leave the Fed alone. The problem is, I think that a lot of the boom-and-bust cycle is created by the Fed, if not exacerbated by the Fed. Robinson: Senator Paul, I’ll close by asking you the same question that I asked your father when he appeared on the show. And that is, why do you think that your message of peace, a humble foreign policy, sound money, and reining in Washington’s out-of-control Orwellian police state, what is it about that message that fails to resonate with Evangelical Christians? What’s your take on why those who profess to follow the Prince of Peace instead consistently seek out and prefer GOP candidates who promise war? Sen. Paul: I think it is really an irony, and I continue to be baffled by it. But it’s not always true, and I have a lot of religious groups that come in to visit me, and Evangelical groups. But I do remind them that the Sermon on the Mount, the Beautitudes, that “Blessed are the peacemakers” wasn’t really an advocation for war. Jesus didn’t say, “Oh, let’s gather some rebels and overturn the government that’s collaborating with the Romans.” Really His message was a much different one. So we’ll see. It also is not clear that the message is necessarily rejected, because really the message has to get out to a number of people and right now, all of the messages are being overwhelmed by the immediate coverage of one celebrity candidate and the nonsense that he spews forth. But, it’s not over yet. We’re gonna see how it goes as it moves forward and we’re gonna continue to try to get that message out. Robinson: Well, that’s very good to hear, because the battle for Fed transparency, and more of it, is a good fight. My guest today, 2016 GOP Presidential candidate and Senator from Kentucky, Rand Paul. Thanks for your time, Senator Paul. We’ll look forward to having you back on the program soon!